Ever Consider Treating Arthritis With Medical Marijuana? Medical marijuana is not for everyone. Strong anecdotal evidence exists for the support of medical marijuana in treating pain and inflammation associated with arthritis. 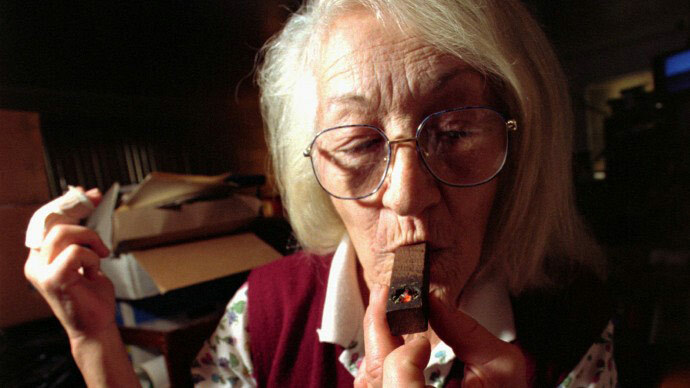 Marijuana has been found useful in the treatment of arthritis. Aspirin, which is commonly used for arthritis is believed to cause more than 1,000 deaths annually in the United States. Nonsteroidal anti-inflammatory drugs (NSAIDs), which are routinely used for arthritis treatment cause more than 7,600 annual deaths and 70,000 hospitalizations. The gastrointestinal complications of NSAIDs are the most commonly reported serious adverse drug reaction. Long-term use of Tylenol (acetaminophen) is thought to be one of the common causes of end-stage renal disease. Marijuana smoked several times a day is often as effective as NSAIDs or acetaminophen in arthritis treatment, and without any reports of death. Marijuana is very good for pain. Aspirin eats holes in the stomach and can cause death... Marijuana has never killed anyone. Any dangers or hazards are miniscule compared to the severe dangers of the standard drugs. One of the main actions of Medical Marijuana is euphoria or a heightened state of well being. All severe pain patients need this and appreciate this. Some strong morphine-like pain pills cause euphoria, and they may cause addiction and death even with a small overdose.Oxycontin is the best/worst example for that. It is rightfully compared to Heroin and is called “Hillbilly Heroin” because it first came to attention in West Virginia and Kentucky (no insult intended). An article in a Canadian newspaper called Oxycontin more dangerous and lethal than heroin. About 60% of patients will respond to any single NSAID. Approximately 10% of rheumatoid arthritis patients will not respond to any NSAID. Biologic response modifiers such as adalimumab (Humira); etanercept (Enbrel); infliximab (Remicade), and anakinra (Kineret)) are prescribed to either inhibit or supplement the immune system components called cytokines. Rare reports of lupus (with such symptoms as rash, fever and pleurisy) have been linked to treatment with adalimumab, etanercept and infliximab. Lupus symptoms are gone as soon as the medication stops. Multiple sclerosis has rarely developed in patients receiving biologic response modifiers. Seizures have been reported with etanercept. By comparison, the side effects associated with cannabis are typically mild and are classified as "low risk.” Euphoric mood changes are among the most frequent side effects. Cannabinoids can exacerbate schizophrenic psychosis in predisposed persons. Cannabinoids impede cognitive and psychomotor performance, resulting in temporary impairment. Chronic use can lead to the development of tolerances. The respiratory system. Cannabinoids are contraindicated for patients with a history of cardiac ischemias.